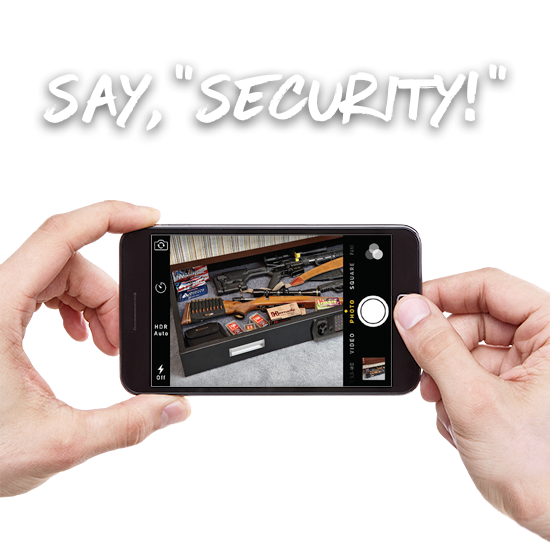 Share a photo of your SnapSafe purchase for a chance to win our monthly drawing! Snap a pic, use hashtag #mysnapsafe and you could be a winner! 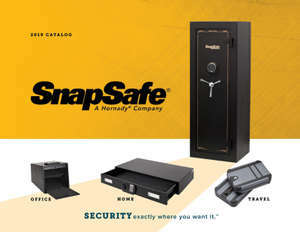 Post a photo of your SnapSafe lock box, safe or accessory to Facebook, Instagram, or Twitter with the hashtag #mysnapsafe. The photo could show where you keep your SnapSafe, what type of treasures you store in it, or what you like best about it. Use your imagination! There’s a new winner every month! So post as many photos of your SnapSafe as you like, whenever you like! 1. Sponsor: This contest is sponsored by SnapSafe – A Hornady Company (the “Sponsor”), located at 3625 W. Old Potash Hwy, Grand Island, NE 68803, which is solely responsible for its content. 2. Eligibility: The SnapSafe #mysafesnap Photo contest (“the Contest”) is open to legal residents of United States and the District of Columbia, who are at least eighteen (18) years of age or older as of November 1, 2017. Employees, employees’ families, and vendors of Sponsor are not eligible. Void where prohibited or restricted by law. Subject to all applicable federal, state, municipal and local laws. 3. Contest Period: The entire Contest begins on November 1, 2017 at 2:00 P.M. Central Time (“CT”) and ends on December 31, 2018 at 11:59 P.M. CT (the “Entry Period”). 4. To Enter: During the Entry Period, share an original photo you’ve taken that contains a SnapSafe product on Facebook, Instagram or Twitter including the hashtag, #mysafesnap. Alternatively, you may enter by uploading a photo via the Photo Contest on SnapSafe.com. All entrants must be the sole owner of the submitted photo(s) and no entry can infringe on any other person or entity’s rights. All entries are subject to verification by the Sponsor. Entries that do not meet the requirements specified in these Official Rules or otherwise do not comply with the Official Rules may be disqualified. 5. Winner Selection and Announcement: Each month of the Contest Period, the Sponsor will select a winner. Entries will be chosen by the Sponsor. The selected winner will be notified and announced on the SnapSafe Facebook Page and other channels. 6. Prizes: A (1) monthly prize will be awarded each month. The prize winner is responsible for any taxes, fees, shipping costs, and any other expenses relating to the Prize. 7. Odds of Winning: Odds of winning a prize depend on the number of eligible entries received during the Entry Period. 8. Publicity: Except where prohibited by law, participation in the Contest constitutes each entrant’s consent to Sponsor’s use of entrant’s name, city, state, likeness, image, and/or voice and the photo(s) submitted by the entrant for purposes of advertising, promotion, and publicity in any and all media. 9. Release: Sponsor assumes no responsibility for: (1) technical delays or failures of any kind, (2) unauthorized human intervention during any part of the Contest, (3) technical or human error during the administration or processing of the Contest, or (4) any loss, injury, or damage caused, whether directly or indirectly, in whole or in part, from downloading data or otherwise participating in the Contest. By entering into this Contest, entrants agree to: (a) release Facebook, Twitter, Instagram, the Sponsor and each of their subsidiaries, affiliates, suppliers, distributors, advertising/promotion agencies and each of their respective parent companies and each company’s officers, directors, employees and agents (collectively, the “Released Parties”) from and against any claim or cause of action, including, but not limited to, damage, loss, liability, illness, injury, death, loss, or litigation that may occur, directly or indirectly, whether caused by negligence or not, from such entrant's participation in the Contest and/or his/her acceptance, possession, use, or misuse of Prize or any portion thereof; and (b) to indemnify, defend and hold harmless Released Parties from any and all liability resulting or arising from entrant’s participation in the Contest and to hereby acknowledge that Released Parties have neither made nor are in any manner responsible or liable for any warranty, representation, or guarantee, express or implied, in fact or in law, relative to any prize, arising out of participation in the Contest or receipt or use or misuse of any prize. 10. Applicable Laws and Jurisdiction: This Contest is subject to all applicable federal, state, and local laws and regulations. 12. Additional Terms: Sponsor reserves the right to cancel, modify, or suspend the Contest.